The critically acclaimed Flowers unfurls for a second series, this time set in the bloom of summer. Will Sharpe’s darkly imaginative, heartfelt and cinematic “Flowers” sees the return of the well-meaning Deborah (Olivia Colman), her depressive husband Maurice (Julian Barratt), their maladjusted adult twin children Amy and Donald and the rest of this dysfunctional ensemble, including the eternally optimistic Shun (played by Sharpe), the Japanese illustrator of Maurice’s children’s books who lodges with the family. Joining the cast is Harriet Walter as Hylda (former addict, now Amy’s girlfriend and slightly unconventional priest). Arthur Sharpe is an RTS Award-winning film and TV composer. While still studying at Edinburgh University, he began his career writing music for various Cambridge Footlights shows including the sketch show Grow Up, which enjoyed a successful run at the Edinburgh Fringe Festival. He then went on to form part of the team behind the soundtrack for the BAFTA-nominated feature film Black Pond. The film received multiple award nominations, as well as winning the 2012 Evening Standard British Film Award for Most Promising Newcomer. 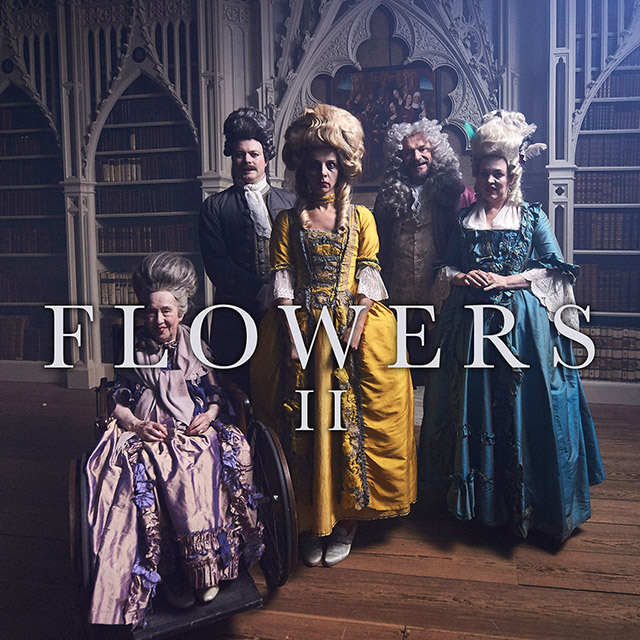 Most recently, he’s worked on series 1 and 2 of the BAFTA-nominated Channel 4 comedy/drama show Flowers, starring Olivia Colman (Broadchurch, The Night Manager) and Julian Barratt (The Mighty Boosh, Nathan Barley). Helping to create a dark and eerie world with his use of strings and piano, his score for the first series won him the 2016 RTS Craft & Design Award for Best Original Music; while the second series saw him delve into more experimental territory, using bathtubs as percussion as well as incorporating a church organ into the instrumentation. He also co-scored with Ralegh Long the BIFA-nominated feature film The Darkest Universe, starring Joe Thomas (The Inbetweeners, Fresh Meat). His music on the film saw him work with the Navarra String Quartet as well as contributing his own guitar and piano playing. Alongside his film and TV work, Arthur also fronts and writes for the indie band Arthur In Colour, who released their debut album Nocturnalium in June 2017.